NZ Customs got a bit excited when they saw me taking photos in this area, but I’d already asked, and they joined me with a nice compliment. 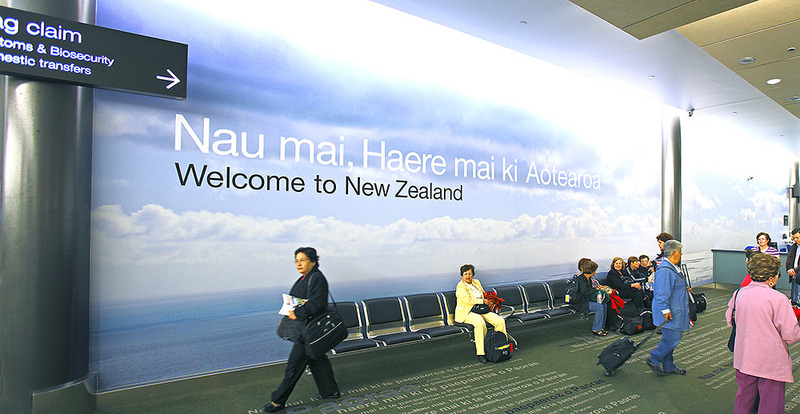 The shot represents ‘Aotearoa – the land of the long white cloud’. Also, the long Arrivals Corridor from aircraft to the baggage claim area has used many of my shots. We specialise in high quality images for large murals reproduction in interior design projects and they’ve come out very well. You're reading A nice welcome home to NZ… at Nature’s Pic Images Blog.